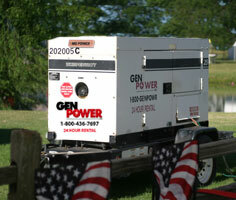 Gen Power offers 45kW generators for rent from Magnum™. 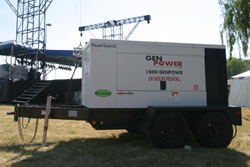 Gen Power generator systems can be found powering road and construction sites, commercial buildings and special events all over the Chicagoland area. 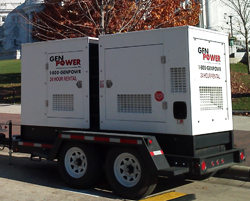 Magnum™ generators are known for their reliability and quality features such as remote start and stop which helps in conserving fuel. Steel skid frame and trailer. Voltage regulation within +/- 1%.